We can’t afford to buy Nathaniel a bike, these special needs bikes are are very expensive. He deserves to be able to go out & have something special to do just like every other little boy or girl. It’s a dream of ours to be able to go on bike rides & give him this social ability in a way. It’s a very rare terminal illness what my brother has. He can’t walk or talk so it’s very limited to the things he can do in the outside world. This bike would give him a better quality of life. We can’t afford to buy Nathaniel a bike, these special needs bikes are are very expensive. He deserves to be able to go out & have something special to do just like every other little boy or girl. It’s a dream of ours to be able to go on bike rides & give him this social ability in a way. It’s a very rare terminal illness what my brother has. He can’t walk or talk so it’s very limited to the things he can do in the outside world. This bike would give him a better quality of life. Best wishes to you, sweet boy ! Good luck hope you win the bike. I really hope you win Dude! Good luck! I really hope you guys win, but if not, I hope this will help a little in being able to purchase one. best of luck and prayers!! Bicycle Blessings, to enrich your life! Please let me know how this turns out! Blessings to your beautiful family. I hope more people will help. We are here to support you. Enjoy the creation with your travels. Good luck, God bless you sweetheart! Don't know you but this touched my heart. I pray he gets his bike! Your son has a beautiful smile! That is a great bike! Good luck to you! Hope to see an update with you riding! i hope Nathaniel gets a bike! 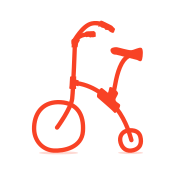 When my dad was young during the 1930s, riding his bike saved him from passing away from polio! I hope the same for Nathaniel! Good luck, I hope you get the Bike! No only is the bike good for him, but exercise is good for his parents/caretakers. I wish you the best and I hope you get your awesome bike!! Hoping you have many beautiful bike rides together! Much love to your family! We hope you get your bike!! Have fun! Hope you get a lot of votes Nathanial. Bless you and you strong positive Mom. Good luck! I hope you either win or are able to buy your brother a bike.